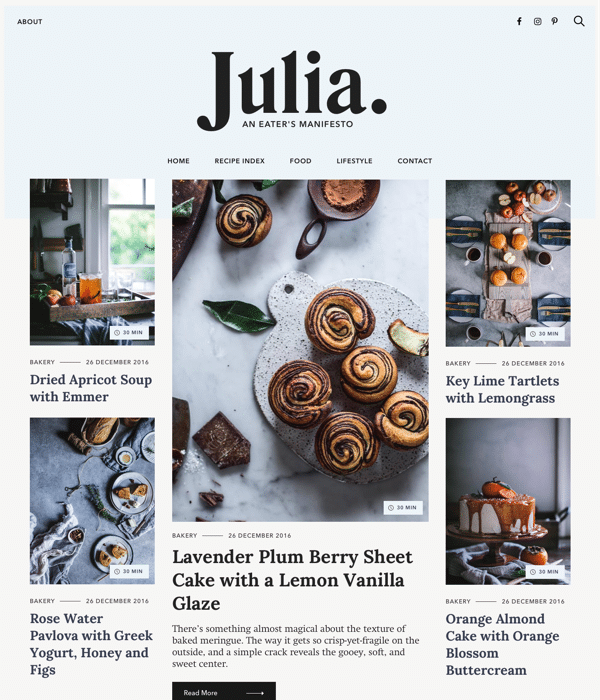 The Julia WordPress theme would be perfectly suited for a wide range of different magazine types but Pixelgrade had a specific niche in mind when designing this theme – food blogging. Julia has useful features that make it specifically suited to a food blog but before we get to those, let’s talk about the stunning design of Julia. The first thing that stood out for me was the clear and well structured layout. The spacing and separation between the various sections are perfect. Each section has a slightly different layout to help show the hierarchy of blog posts and add some variety to the layout with featured articles at the top in a masonry type layout and various other categories neatly displayed below them. Overall, the layout is conventional enough to be easy to use for any user yet unique enough to avoid feeling like so many other magazine themes. The typography and use of images is spot on, as Pixelgrade themes always are. 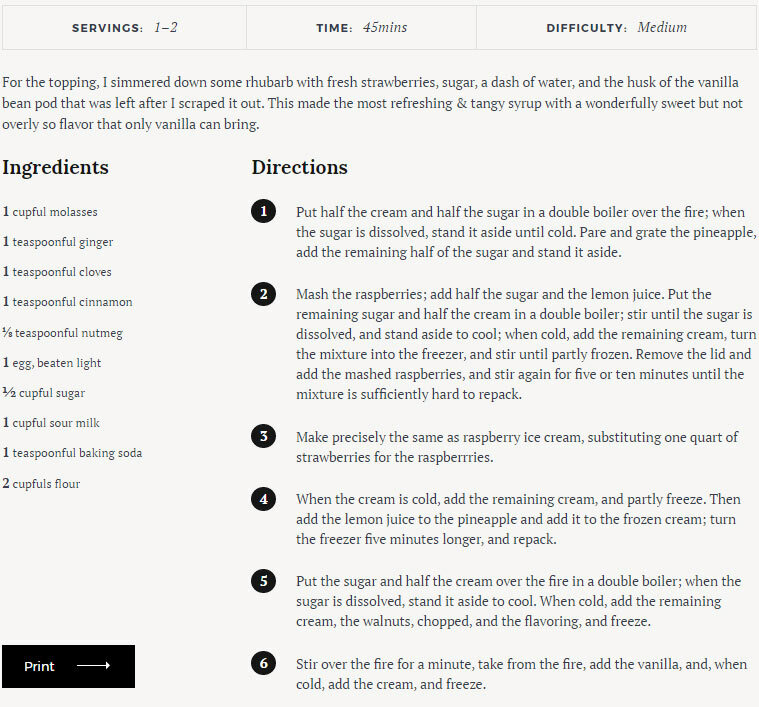 Images of food and various recipes really stand out and look great, both on the homepage and the internal pages. Julia comes with a nice set of options for monetising the blog such as a newsletter sign up widget, a sponsored content block and a widget to provide downloadable items like ebooks. These are all great ways to build your audience. If you decide to buy the Julia themes, you’ll definitely get an amazing design, but what about other features of the theme? Like all of Pixelgrade’s themes, Julia has enough options to make useful tweaks to the theme but it is not loaded with theme options that you are unlikely to use. The key things you can change which will allow enough customization options for most people are colors, fonts and the homepage appearance. The homepage appearance can be changed using an easy to use widget based layout which I really like. This is another impressive theme from Pixelgrade and it would be perfect for anyone looking for a premium magazine or food blog theme. The designs Pixelgrade produce are a cut above what you will see from many other theme shops and their themes are also amazing value for money since they have changed their pricing structure. Thier themes were previously priced at around $125 – far higher than most WordPress themes but they now provide access to all themes via their Pixelgrade club which only costs $9.95 per month! You can try out the club for free, so head over their now and sign up if you like their themes.